A Cabinet Full of Wood Wick Candles at Each Shop! 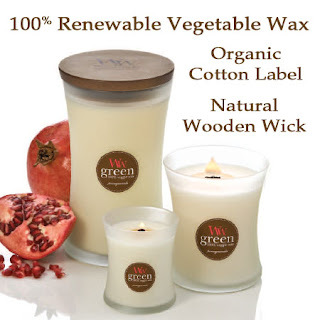 Yes, Wood Wick Candles Are Back! We now have a cabinet of Wood Wick Candles in each of our shops. I really love the light sound of the wick as it burns. We have added the Green Collection which has some very unique fragrances. Fusion glass is now back in stock as well as the regular Wood Wick jar in the medium and small sizes. Yes, we again have Cinnamon Chai and Carmel back also! After burning a Wood Wick Candles, you will no longer have any regrets about our decision to no longer carry Yankee! Another day in the life of a hedgehog. 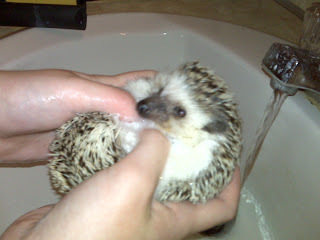 Yes, Thistle, our pet hedgehog, does enjoy her bath! She has been a joy to our family with the exception of cleaning her cage! Twist & Pout Lip Balm Is Back! Twist & Pout is a one-of-a-kind lip mosturizer that is equal parts fashion statement and sun protection. Exclusively patented and formed for your inner trend setter, this stylish sphere is bound to be the envy of lip addicts everywhere. Packed with the latest and greatest in pucker protection technology, Twist & Pout delivers a crucial combination of oils, butters and full spectrum UVA/UVB lip armor. Best of all, these infectious little balms are easily found at the bottom of any bag for quick lip moisture on-the-go. This is a great little gift and available at both locations. $6.99 retail. New Vera Bradley Releases Are Here! 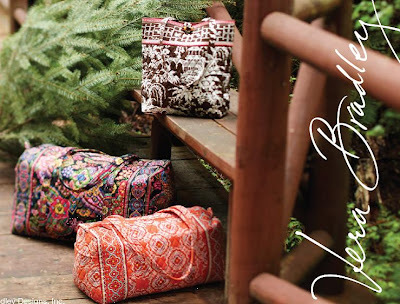 We now have the new holiday releases from Vera Bradley. The three new colors are Paprika, Symphony in Hue and Imperial Toile. Plus we have a great new reversible tote just released as well. Ashley was excited to see our new Vera Bradley display piece arrive today at the Elkin shop. If you have not visited us at our 119 West Main Street location, then what's stopping you! Drop in! You Are Invited to Our Birthday Party! Yes, we actually opened both shops on the same day...just different years! 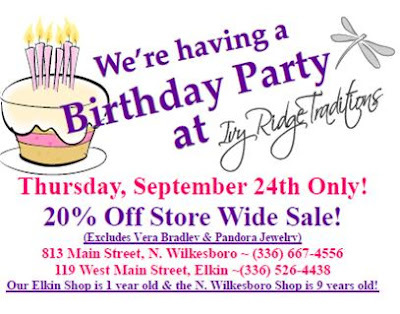 So each shop shares a Birthday together and we are going to celebrate it with a special one day only sale! This is our first ever store wide sale! $25.00 of Cool Stuff for 5 Bucks!!! We have just put together some fun grab bags at each shop! 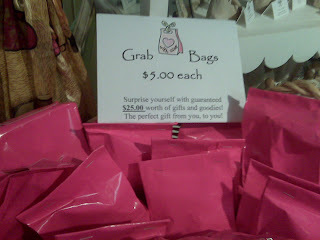 Everyone loves a surprise and our $5.00 grab bags have $25.00 worth of stuff in them. We were very careful in putting them together to make sure each one was a great surprise. Our pink bags are available at both locations. 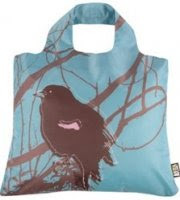 Envirosax--environmentally-friendly, re-usable tote bags. Envirosax are made of durable waterproof lightweight polyester, and they're built for toughness & extra strength. By using an Envirosax, you can eliminate the need for 2,500 plastic bags over its lifetime. Additionally, the majority of designs we have in-stock were co-designed by Envirosax and Animal Planet, and your purchase will support the principal partners of R.O.A.R., Animal Planet's project to help make the world a better place for animals. Best of all, this simple green chic planet saver is only $8.99. Totes are available at both shop locations. Footnote: I know the above picture of Justin Timberlake is going to start a stampede to purchase a tote (smile)! 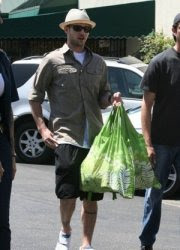 However, keep in mind that you will look Justin Timberlake cool at the market with your purchases in a Envirosax tote! Jody Coyote earrings embraces a legacy of high quality, one-of-a-kind craftsmanship and unique, timeless design. 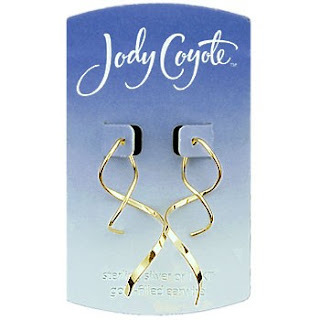 Everyone can find a favorite pair of earrings within our Jody Coyote selections. Available at both our Elkin and North Wilkesboro shops. 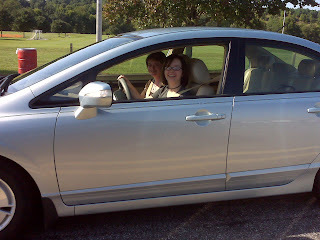 Kenzie is Growing Up-Driving and Working at Ivy Ridge! Yes, Mackenzie now has her learner's permit! My baby girl is growing up fast! She has also officially joined the Ivy Ridge staff. Look for her on most Saturdays at the North Wilkesboro shop! 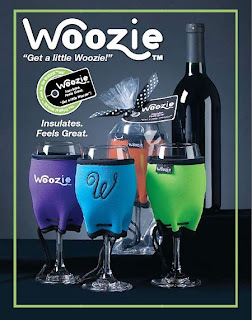 Woozies are insulated wine glass koozies invented by Julia and Frank Sherron from Pinehurst. Clever, fun, and useful---Woozies come in bright neon colors and are made from Neoprene. They’ll help keep your hand dry and your wine chilled. Choose your Woozie plain or with a monogrammed initial. We have all 26 letters of the alphabet currently in-stock, so hurry in while they last! (You can have a plain Woozie custom-embroidered at your local embroidery store!) Monogrammed Woozies are just $9.99, and plain Woozies are $6.99. A great gift or stocking stuffer for under $10! Available in both shop locations. Some Unique Baby Finds Just In! A baby boy can only have so many car t-shirts and a baby girl grows tired of wearing the same pastel pink butterfly pajamas---SOZO to the rescue!! This line of whimsical sleepwear, blankets & accessories has just arrived in both shops. SOZO products are constructed of quality materials that are also easy to care for-- both kid and parent-friendly. We also have several other Sozo items not pictured, so come visit us and check them out for yourself! Fun, unique gifts to give and receive! A baby boy loves to take direct aim at you when being changed. But now you can protect yourself with Weeblock, a cup-like covering that you place between his legs at changing time. Underneath the super-soft 2-ply cotton jersey covering lies the secret weapon - a wee-wee absorbing sponge. Bright color combinations with embroidered icons give this utilitarian product a healthy dose of fun. And yes, the whole thing's machine washable. P.S. We have these in LOTS of cute, fun designs! Multi-use blanket perfect for swaddling, the stroller, as a receiving blanket & more! Post your favorite fall activity on the comments area below for your chance to win a gift basket from Farmhouse Fresh!! Contest ends 9/12! We are looking for some great fall activities we can all enjoy and share. This charming gift set includes Honey Heel Glaze Moisture Veil and our customer-favorite Whipped Honey Fine Foot Scrub. Housed in a wooden FarmHouse Fresh Bushel Basket. All the basket items maybe purchased individually at both Ivy Ridge locations! A scrumptious bottle of love for heels and toes. This divine honey-based moisture veil seals in moisture and brings rich color back to tired feet - simply brush on and rub into feet for chalkless bliss. This golden jar is a true guilty pleasure from the first moment you let it breathe - fragranced with velvety cinnamon notes, sweet cloves and actual honey. The finest of moisturizing elements have been incorporated from genuine honey, and aloe leaf juice to pineapple and papaya fruit extracts. Honey Heel Glaze is ultra-smooth, non-greasy, and addictive in every way. Includes application brush in a darling carrying box. This charming vintage-chic fine grain foot scrub gives you huggably soft hands, feet, elbows and knees. Fun jelly-jar toppers promise you'll "Cuddle-up feet first!" 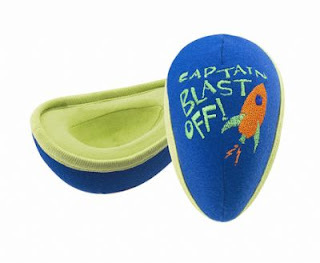 and "Make your slippers cheer!" Made from the finest grain fresh sea salt and uniquely formulated around rice bran oil for its exceptionally high amount of vitamin E. Lightweight, non-greasy and so addictively yummy, you'll keep a jar by every sink and bathtub! 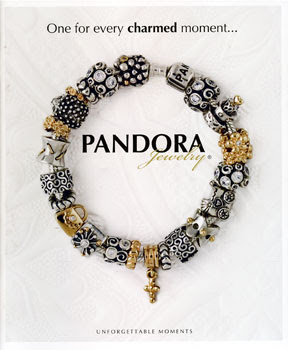 Pandora Party-Sept 3rd-5th at the N. Wilkesboro Shop! Purchase $100 or more in Pandora Jewelry and receive a free lobster clasp bracelet ($35 retail value). Customers may also upgrade to a Pandora Clasp Bracelet for $15.00 (this special is limit one per customer, while supplies last). Be sure not to miss this opportunity, because this is the final bracelet promotion before Christmas-so think Christmas gifts!!! What: Free Lobster Clasp Bracelet with a $100 Pandora purchase. 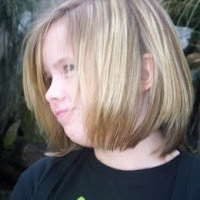 Yes, our Mackenzie is 15 years old today! You had better watch out because she gets her learner's permit this afternoon after school! 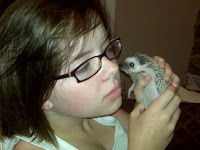 The top photo shows Mackenzie with her pet hedgehog, Thistle. Thistle is giving her kisses. By the way, Thistle only loves Mackenzie and refuses to kiss anyone else! I am also proud to announce that Mackenzie has joined our Ivy Ridge staff. You will see her working in the shop in North Wilkesboro on several Saturdays each month. Just a note to mothers of young children-enjoy every minute of their young years, because they grow up fast!